– Yes, it means ‘the red earth‘. I am in Bristol at the moment and just finished a run of “A Midsummer Nights Dream” at the Bristol Old Vic. 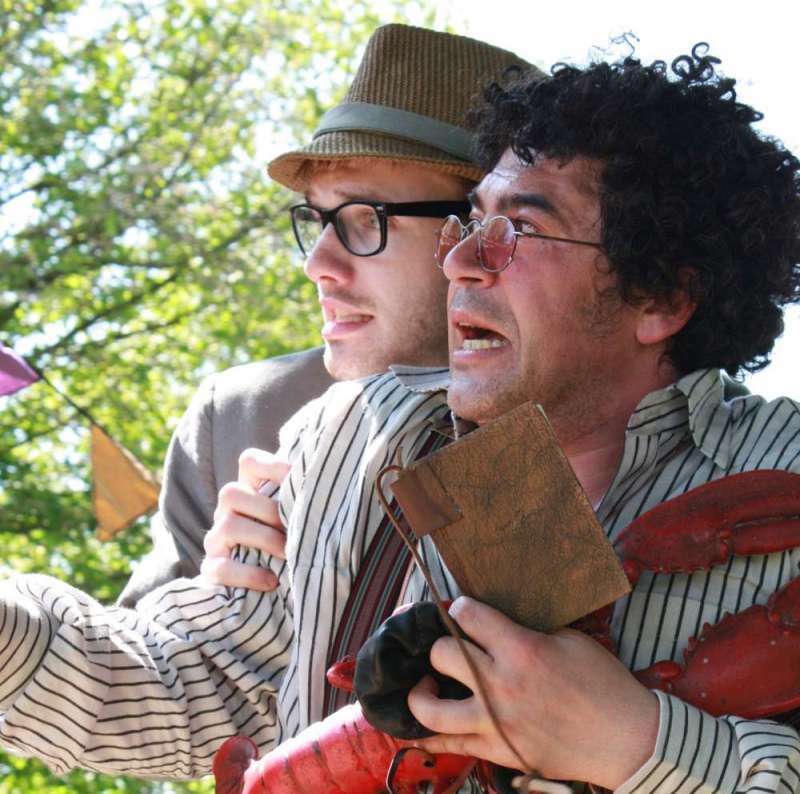 We are about to take the show to the “Spoleto Festival” in America next week. 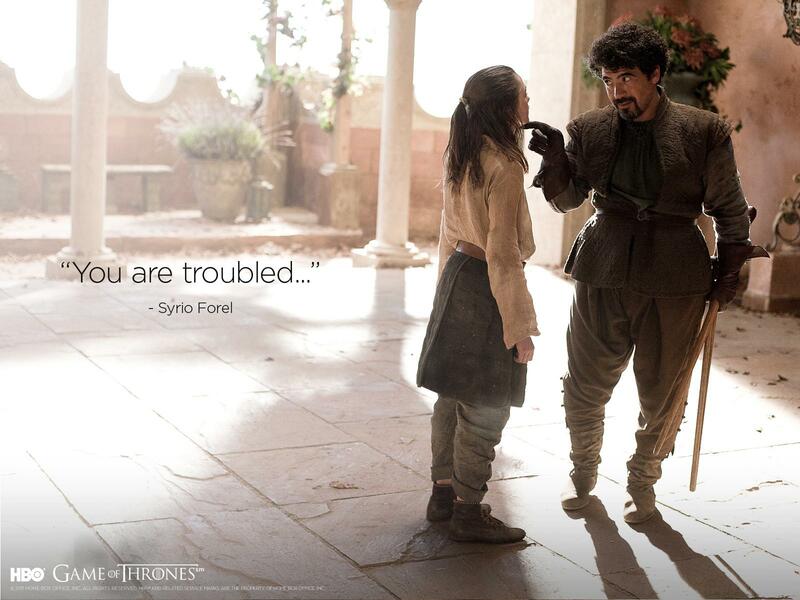 – Your character Syrio Forel became quickly very popular among the “Game of Thrones” fans. What do you think about your character and did you expect such a charisma coming out of him ? – We all like unconventional, inspiring teachers. Syrio comes from a long line of them in fantasy fiction, like Obi Wan Kenobi and Mister Miyake from the Karate Kid ! 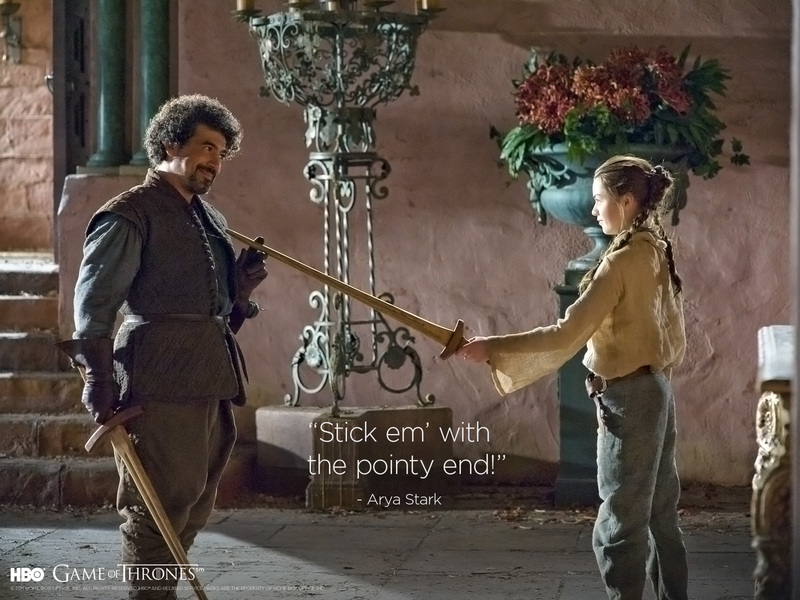 His role in Arya’s story is why he became a fan favourite, but I never expected the reaction to my performance… Syrio has a lot of ‘me’ in him. – Where do your fencing skills come from ? – Many years of sword fighting at the Royal Shakespeare Theatre Company plus a background in dance. This means I can pick up choreography very easily. – How did they get the idea of an Italian accent for Syrio ? – How do you think your character ended ? The fact that we don’t see him dying leaves every door open to see him coming back when we don’t expect him anymore… In a TV show, no one is really dead ! – This is true ! Part of me likes to think he gave his life defending this girl he grew to admire and love and he is a man of honour who is not afraid of death. On the other hand, he is the first sword of Braavos and I don’t think you can kill him that easy. – What other character of the show would you find interesting to play ? – Varys (played by Conleth Hill). In fact, that was the part I first read for when I was approached to be part of “Game Of Thrones”. – Have you read the entire saga « A song of ice and fire » ? If so, before or after playing Syrio ? Did it help you building your character or did the production team have a different point of view ? – I am reading “Storm of Swords”. I did read the first book before filming, but it helped a little – not a lot – as Syrio is deliberately enigmatic. That’s what makes him so appealing. But it gave me a sense of the world and I loved G.R.R. Martin’s writing. – Is there a little bit of Syrio in you or did he leave you something ? – Syrio is definitely me and I am Syrio ! – Oh, that’s the exciting thing about Shakespeare : you can perform it all your life and it will always surprise you ! – How did you discover your love for theatre and what was your first stage memory ? – I was playing the barman in “Bugsy Malone” when I was 9 years old. I never looked back after the first custard pie in the face ! – What’s your favourite Shakespeare play ? – “Hamlet” and my favourite role : Iago in “Othello”. – Now that you’ve experienced many different things, what do you prefer : theatre, TV or movies ? – I love both for different reasons, and now I want to do more TV and films. – A few months ago, you shot a short film beside James Cosmo (Jeor Mormont in « Game of Thrones ») named “The Boogeyman” that all Stephen King fans will recognize. How did you both end up working on this project ? – I love James and it has been an honour to get to know him a little, as I have always admired him as an actor of infinite dexterity and power. We were asked and I wasn’t going to say “no”to spend some more time with such a brilliant human being ! – Horror movies are far away from what you’ve played until now… What was the real challenge in playing Lester Billings ? And how did you get prepared for such a role ? – You don’t prepare… With horror, you have to live in the moment and react to any given situation. In fact, most film acting should be spontaneous and impulsive. Trust your instincts and don’t think too much. Just react. That will be honest and powerful. – Did you know Stephen King’s world before working on “The Boogeyman” ? – Yes, I read him as a teenager and before filming this film, I re-read the short stories and was reminded what a fantastic and profound writer he is. – Where and when can we expect to see you in “The Boogeyman” ? – Hopefully sometime this year ! Ill let you know when I know ! 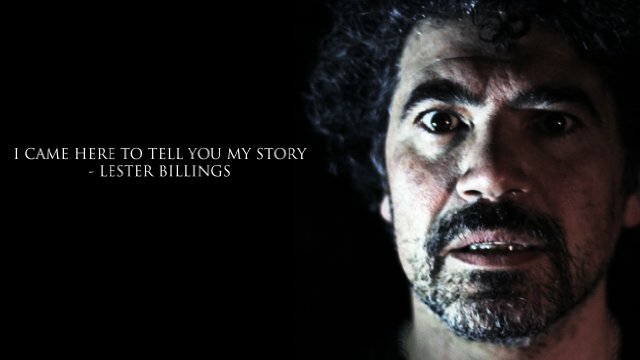 You can Check Miltos’ website or follow him on Twitter but also have a look at The Boogeyman‘s website. 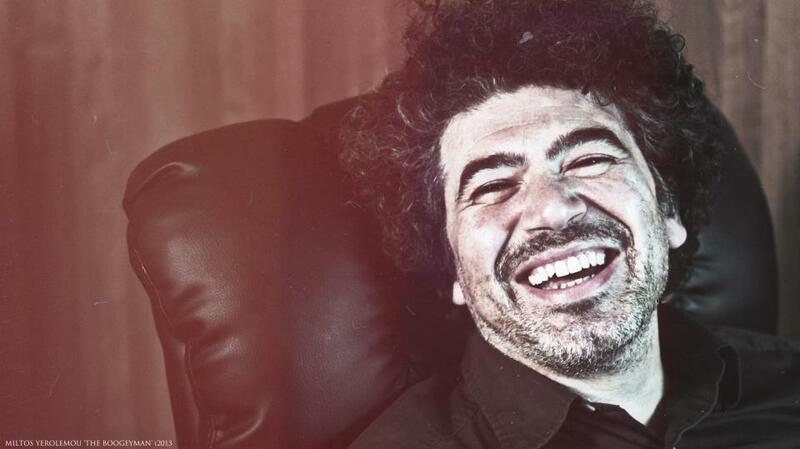 Cette entrée, publiée dans Actors, Game of Thrones, est taguée game of thrones, interview, miltos yerolemou, stephen king, syrio forel, the boogeyman. Bookmarquez ce permalien. My name is Rejane, I’m Brazilian. I’m a fan of Miltos. I called him to my cat. It is a very beautiful person and a gentleman. Always answer my messages. Loved the interview. I love Miltos.